Libbys on the Loose:2 Humans. 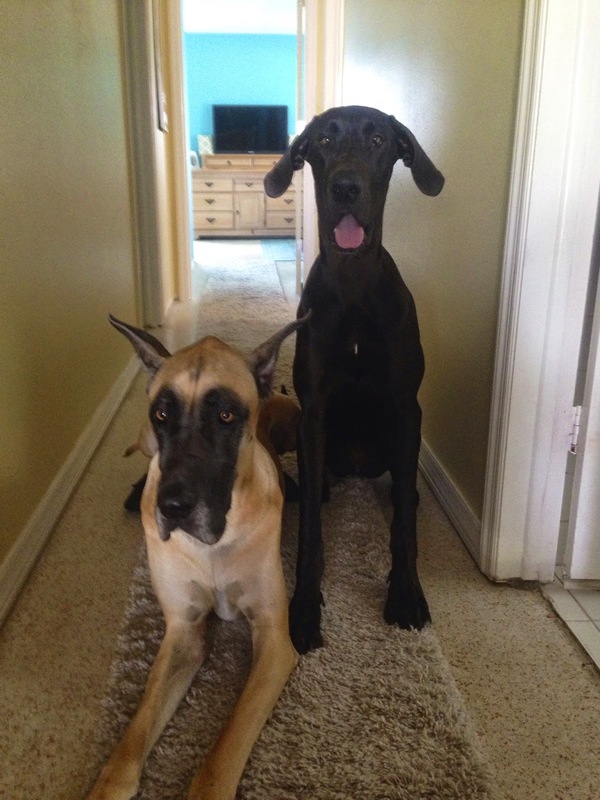 2 Great Danes. 1 RV. : Nyx - "The Greek Goddess of the Night" aka "Queen Nyx"
Nyx - "The Greek Goddess of the Night" aka "Queen Nyx"
Great Danes are like Lay's Potato Chips - you can't have just one! We tried, so hard, to stay with one when we had Guinness. After Pepper, our second rescue Dane passed away July 4th weekend of 2013, it got to the point where he would just lay around and look depressed. He wouldn't get up to greet us when we came home. He didn't want to eat and rarely wanted to go outside. We knew something was missing. When Pepper was around and healthy, Guinness was like a different dog. He would taunt Pepper and even get up and try to play (in his way) with her. He also liked to clean her ears and lay with his head across her side. For the short time we had her, Pepper helped to fill an empty hole in our hearts left by the absence of our first little girl, Atae. Not just for Guinness, but for us, too. When Guinness had his gold bead implant procedure done, the doctor told us that we needed to protect Guinness' neck area as much as possible. 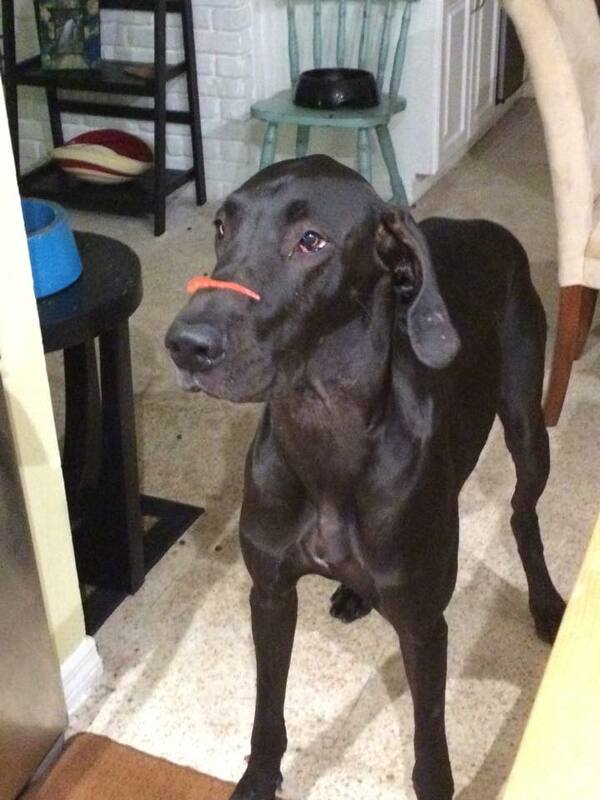 This meant no rough playing or jarring (no tug-of-war, his favorite game, wrestling, rough housing, or large toys). We pretty much all but discounted the thought of being able to get a puppy while Guinness was with us. 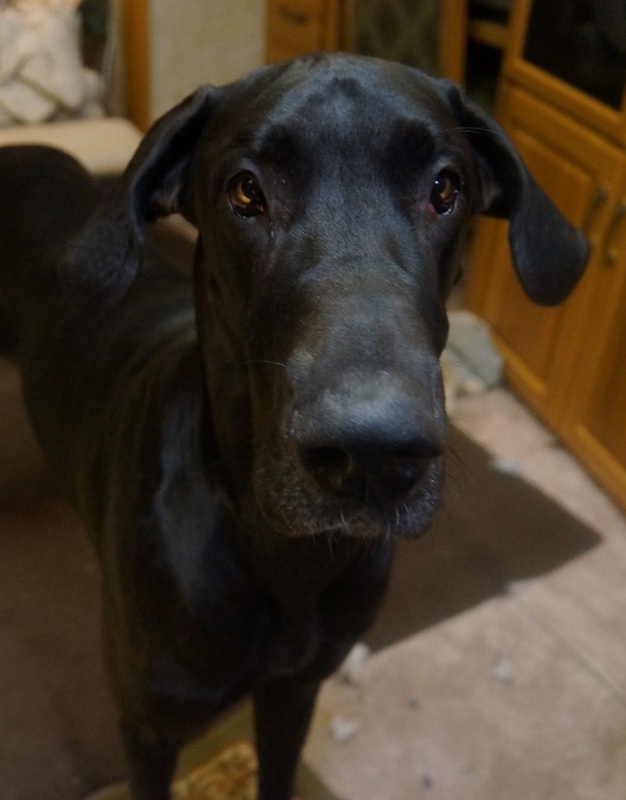 After Pepper (a senior rescue), we started to seek out another older Dane that may have been returned to a breeder or something similar. The most important things that we wanted was a calm demeanor and healthy. We needed a dog we didn't have to worry about like we did with Guinness. An emotional break was needed. KRW Danes near Jacksonville, Florida, is a shower/breeder of Great Danes. Kelly lives, breathes, and loves Great Danes. 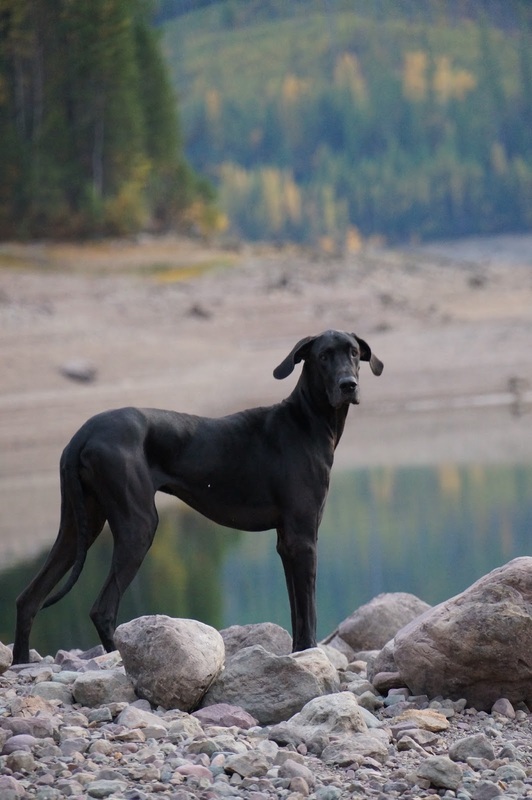 She has shown numerous championship Danes, and if you know her, you'll quickly learn how dedicated she is to caring for them, even when they aren't directly living with her. She truly wants the best for all of her dogs. 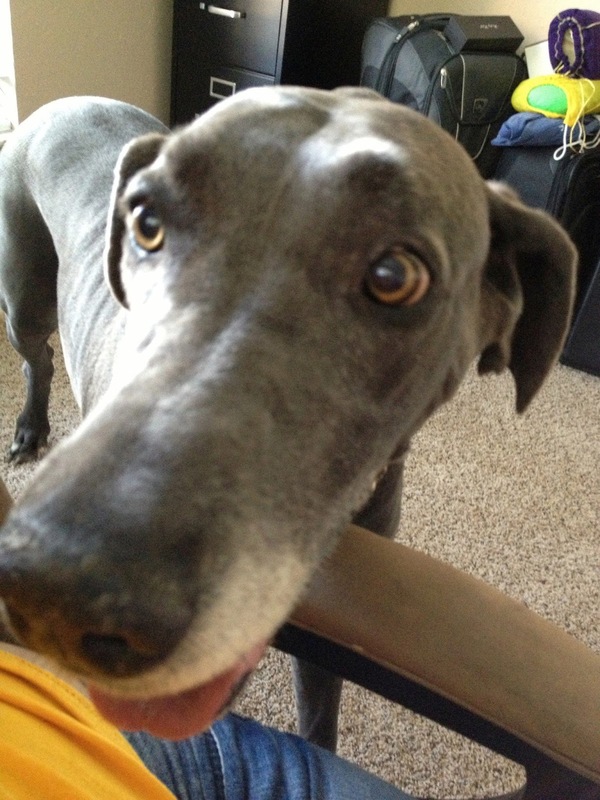 We contacted KRW to look for a senior Dane that may been have been taken back. In our first phone conversation, and after speaking with her for a few minutes, she (Kelly) realized that I had contacted her through their website a few days before. As soon as I mentioned Guinness and the trials we faced with him, she immediately wanted to help. After discussing things for a while, Kelly suggested that we inquire with Guinness' specialist as to whether a slightly more personality-developed puppy (read: an older, non Alpha-type personality puppy) would be ok for Guinness to be around. Upon receiving confirmation from our vet that a submissive-mannered puppy would not only be good for Guinness, but may actually help improve his health by being more active. Since it had been determined that we could have another puppy, it was only a matter of time (and timing) until we found and brought our little girl home. At three and a half months old, this sensitive, sweet, and completely loveable little girl took ahold of our hearts within minutes of meeting her for the first time. 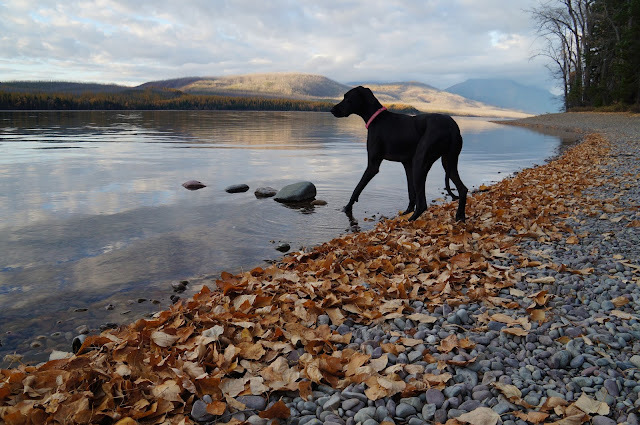 She wore a beautifully sleek coat of black as shiny as it was soft. She had affection and love to give for days. She was definitely exactly what we all needed. Guinness instantly bonded with her and she immediately took to the way that Guinness could play. The first command we taught Nyx was "no feet". Since Guinness' neck was subject to being affected by rough play, We taught her that when she was playing with Guinness, she had to keep her paws to herself. So they would play the "bitey-face" game where the two would pretty much gnaw on each others faces. No paw action to be had! Those eyes will make you want to do anything for her! Nyx, even from the very start, was very in tune with Guinness. We referred to her as Guinness' therapy dog. She may not have known exactly what was wrong with him, but she knew that he was different and that she had to play differently with him. She evidenced this by numerous visits to dog parks. If she was playing with (or around) Guinness, her play was completely tempered down to his level. However, if she was playing with other dogs, large or small, she would ramp up the intensity level as far as they could handle. We haven't met too many dogs that can wear her out, although there have been many that have kept up with her! To have other dogs chase her is by far her favorite game. Since her strides are multiple times the length of most dogs, she makes covering a large distance look effortless. The other dogs just can't keep up and eventually give up! To this day, Nyx is extremely sensitive to the energies around her. If Moose isn't behaving and gets yelled at, she becomes very "apologetic" and looks into your eyes begging forgiveness - even when she isn't the one in trouble! In her quiet way, she will take care of Jeanine and keep her company if she (Jeanine) is hurting. She wakes us up during the night if she senses something isn't quite right (she used to do this when Guinness needed something). She will follow us down any path. A few weeks before we lost Guinness, we started looking for another puppy. We knew Guinness' time was limited and we were hoping to make one last effort to help him by bringing in more puppy energy. 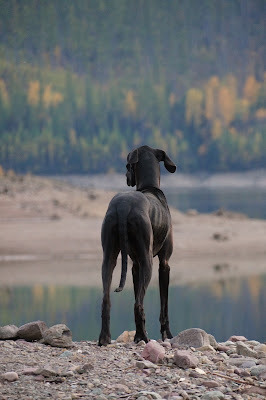 This is how we came to find Moose - another KRW/ARW Great Dane! After Guinness passed, we had a period of about three weeks where Moose wasn't yet old enough to come home with us, so Nyx was an only child. While she loved all the attention, she was definitely missing having a "sibling" - someone to play with. After all, she was still very young and still had loads of energy! Moose was not just for Nyx though. Moose was just as much a part of healing and the grieving process as anything. Moose was/is also a pleasant, albeit annoying (in the cutest way), distraction from grieving over the loss of Guinness. Fast forward to today and we have Nyx who is 2 1/2 years old and Moose is 9 months. Moose has passed her in both size and weight as he is a full two inches taller than she and at least 10-15lbs heavier. While he isn't nearly as agile as Nyx, he can keep up with her. Watching them play is like nothing you've likely seen before. 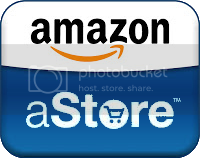 Like two small horses jumping up and beating the snot out of each other. Nyx is still pretty strong in comparison to Moose, despite his size. She's like Muhammad Ali, fast and quick, whereas Moose is like an immature George Foreman, large, but lacks the experience and maturity to beat her. It works out well from our end - they tire each other out on the regular. This keeps our sanity, and the RV, intact! Nyx probably would have been just fine on her own without having Moose as a brother. The amount of emotional ups and downs with Guinness assumingly had to be just as difficult for Nyx as it was for us. Maybe even more so because she didn't understand what was going on with him. Even though she knew something wasn't right with "Squishy", she was always there for him when he needed it. She's been the same for us..